Wildcats are traveling from the suburbs and cities to participate in the World Meeting of Families and to see Pope Francis this weekend. 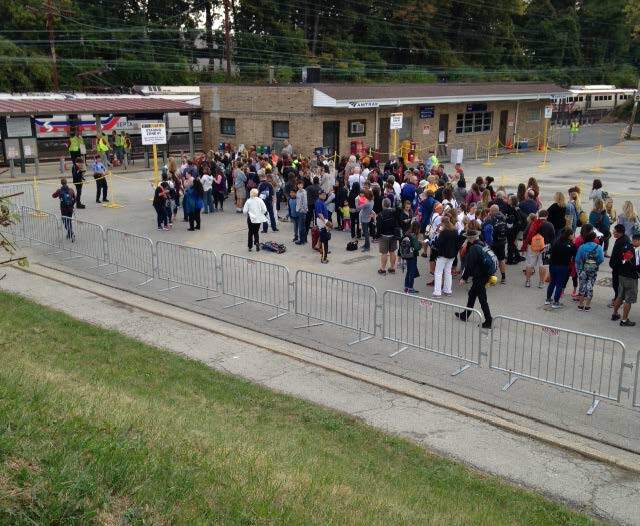 Here’s one Wildcat’s-eye view of the train station activity in Paoli, PA, one of two SEPTA regional rail stations on the Paoli Thorndale line that will accept passengers with special passes to Philadelphia today and tomorrow. We hope everyone enjoys the Francis Festival and the address by Pope Francis at Independence Hall! Read all of our Pope Francis and World Meeting of Families blogs that were published this week.